Favored by women around the world who have elegant style and a taste for luxury, pearl and crystal jewelry is gorgeous from red carpet to aisle. 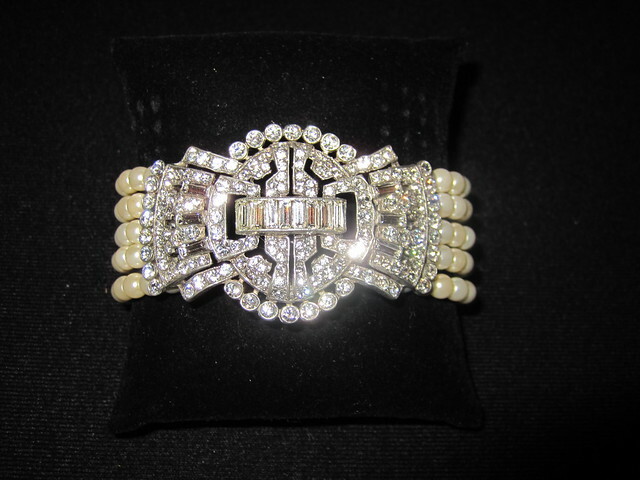 Whether topped with Swarovski crystal flowers, Art Deco designs or delicate filigree, pearl and crystal bridal bracelets have tons of staying power and versatility. A five-strand pearl bracelet with a stunning brooch flower can go from wedding day to New Year’s Eve to date night for years to come! 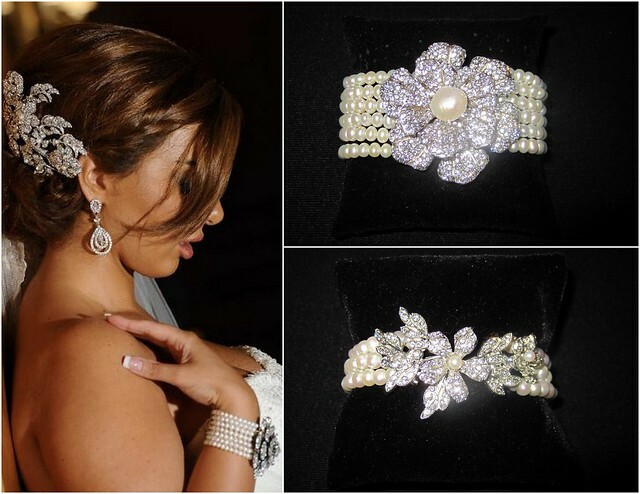 These are just a few of our favorite pearl and crystal bracelets here at Bridal Styles, all of which are handmade to order with real freshwater pearls and Swarovski crystals. To find your pearl and crystal bridal bracelet, or have one designed especially for you, visit us in Brooklyn at our bridal accessory boutique! This entry was posted on Tuesday, October 2nd, 2012 at 9:49 am	and is filed under Red Carpet Style. You can follow any responses to this entry through the RSS 2.0 feed. You can skip to the end and leave a response. Pinging is currently not allowed.